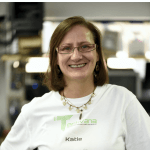 Techvana has grown from its humble beginnings as a personal household collection of vintage technology into an electronics, robotics, and gaming museum. This was largely thanks to Mark and Katie’s constant collaboration with passionate volunteers, active shareholders, and good old Kiwi ingenuity in order to make something wonderful out of its very limited resources. Last year, Techvana operated the New Zealand Computer Museum in downtown Auckland as its first major step in preserving, restoring and displaying historical technology. During its 1-year partnership with its first naming sponsor, Ntec, it was able to run and facilitate school visits, workshops, and events that proved the demand and need for a dedicated technology space within New Zealand. The major milestone that showed Techvana’s capacity to contribute to New Zealand’s education sector was its first school visit which was held last December for Murrays Bay Intermediate. This was done purely through the efforts of Techvana’s core volunteer team as well as equipment that was generously lent to the museum by one of its core sponsors, ICE AV Technology Ltd.
Murrays Bay students were able to participate in a variety of safe and interactive activities that were designed to teach key concepts about light, frequency, heat, and sound. These activities ranged from students learning how to bend cones of ultrasound from wall to wall using a large ultrasound audio speaker, learn the basics of using a multi-meter and how it can be used to measure different parts of an active computer, and read each other’s thoughts through our very own “mind control helmet”. They were also able to interact with a variety of the fundamental technologies that led to the computers, mobile devices, and software that they use today. At Techvana’s first student workshop, our dear friend and supporter Dieter Rass taught an enthusiastic group of Ntec students the basics of making binary clock using a Raspberry Pi microcomputer. The positive response Techvana received from the participants of its initial student workshops convinced the team to continue organising and delivering similar events that focused on teaching other skills such as photography, electronics, and Unity 3D programming. 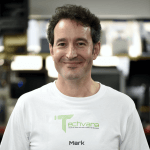 In order to expand its reach and collaborate with more professionals as well as enthusiasts from the IT industry, Techvana hosted over 11 networking events in partnership with Auckland ICT as well as a variety of Meetup’s and gaming tournaments throughout its 1-year partnership with Ntec. These events were held in collaboration with companies such as Microsoft, international IT communities such as HackerNest, and gaming brands such as Sony and Capcom. Techvana’s team was also recently invited to be an exhibitor at the New Zealand CIO Summit held last June 8-9, 2016. 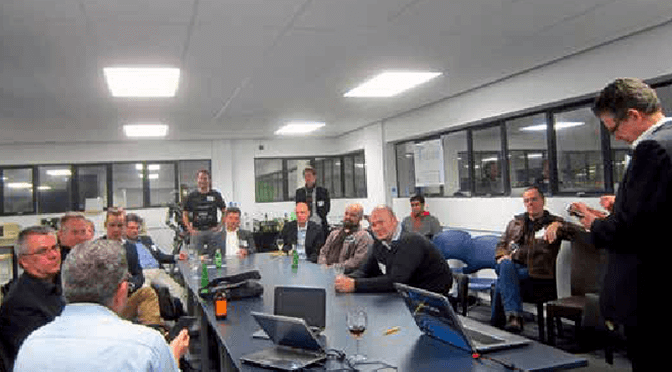 This allowed Techvana to showcase some items from its collection and share its journey to key professionals within New Zealand’s IT industry. Techvana’s booth was met with curious eyes and consistently garnered genuine responses of nostalgia throughout both days of the conference. Upon seeing the collection, most would share stories about their personal experience with their first personal computer and the quirks that it had. Some even expressed their interest in either supporting the museum and its activities personally or through their companies down the track. The strategic value that this feedback has given to the team has helped validate that Techvana was indeed moving into the right direction. Techvana is currently in the process of pursuing two key areas within the coming months: e-Sports and its online technology store. Throughout the events that Techvana has hosted, it was its gaming events that surprisingly garnered the most interest in terms of ticket sales and participation especially on social media. This is why the team has decided to refocus its efforts into establishing Techvana not only as a dedicated space for technology, but as a recognized venue for eSports as well. Techvana is also in the process of launching its online store. This will allow customers to purchase the latest technology products at competitive prices. A small portion of the sales made through this store will go directly towards supporting Techvana and its activities. Techvana is actively looking for a new place that it can call home. This is currently our most urgent concern and we are definitely keen to talk with anyone who can help us on this matter. Techvana is also seeking more sponsors interested in supporting the museum directly or collaborating for its future events. Those interested are encouraged to contact Mark or Katie Barlow directly through the channels listed below. We would love to have a chat with you and find out how we can help each other out. You can always reach us directly, or through the channels at the bottom-right of this page.